The RSS had not only refrained from participating in the India's Freedom Movement , but hated it. It is essential to know the Sangh’s pedigree to understand its politics and goal. The RSS was founded in 1925 in the wake of the Hindu Muslim riots in Malabar for the limited objective of fighting the Muslims for committing atrocities against the Hindus. 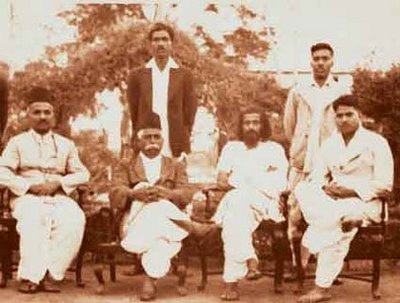 In fact , Hedgevar, the first Sar Sangh Sanchalak had categorically stated that the purpose of the RSS was not to join the National Movement against the British but to oppose , “the yavan-snakes ( i.e.the Muslims) , who, reared on the milk of non-cooperation , were provoking riots in the nation with their poisonous hissing. “It was also safe not to join the National Movement which would have invited immediate repression. Maintaining a safe distance from the freedom movement guaranteed the participation of those who did not want to risk their necks. Thus , hatred for the Muslim is in the DNA of the RSS. Later, M.S.Golwarkar developed his notion of a Hindu Rashtra in which the Muslims and Chritians had no place on equal footing with the Hindus. They had to subordinate themselves to the Hindus. In fact, he drew inspiration from Adolf Hitler , who hated the Jews and had sixty lac of them liquidated as ‘a final solution of the Jewish problem. ‘Golwarkar had openly admired him for the solution and also for his annexation of part of Czechoslovakia. Dr Moonje who preceded him was a great admirer of the Fascist Italian leader B. Mussolini. He had gone to meet him and greatly admired him and the fascist institutions he had established. Nehru had refused to see the dictator when invited . The RSS hated the national movement, hated its leaders including Mahatma Gandhi, Nehru, Patel, Subhsdh Chandra Bose, Bhagat Singh and all others, hated and hates the minorities, a secular India and democracy. These are in its gene. A genetic change is neither easy nor quick. The changes it tries to showcase are cosmetic and tactical calculated to deceive to multiply. Those who love the people of India, democracy, a free and liberal society and abhor fascism must wake up and stand for the India they love by ceasing to bury their heads in the sand like an ostrich.